Our team has been serving the Lawrence, KS area since 1999. EN-TIRE Car Care Center in Lawrence, KS is the full-service repair shop that local drivers have come to trust for all of their vehicle’s needs. We have a second convenient location serving the Gardner, KS area. Our name says it all! Every service you need to keep your vehicle on the road is handled by our team of ASE Certified technicians. We’re known as the go-to repair facility for any tire sales or service, and a one-stop shop for auto repairs and maintenance. Complete car care from top to bottom and bumper-to-bumper is our standard. But it’s our top-notch customer service that keeps customers coming back to us. Our state-of-the-art facility stands out amongst all other independent repair shops. When you first approach our large, professional, and attractive shop, you might feel like you’re visiting an impersonal franchise. From our warm and welcoming smiles, you’ll know right away that you’re in the right service destination. Customers come to us with specific needs. Whether it’s an unanswered question, quality tire sales and service, or a complex auto repair solution, they know we have it covered. As a locally owned and operated facility, we enjoy building lasting relationships with our family of customers. The most important part of any relationship is trust, and we go above and beyond to earn and keep your trust. Keeping You Road-Ready–We Do It All! Bring your vehicle to a tire shop that doesn’t just sell tires, but one that also specializes in your vehicle’s tire needs. Don’t waste time hunting for your vehicle service needs. We have a one-stop shop that you can rely on. be confident in. That’s the type of confidence that customers come to EN-TIRE Car Care Center with. Any vehicle that you’re driving, we have the appropriate tires for you. Make our shop the automatic answer for any tire need. You can count on us for effective tire maintenance and repair services that keeps you road-ready. Drivers throughout Lawrence, KS and Gardner, KS appreciate our complete service expertise. 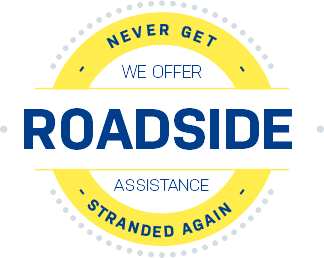 If our qualified techs aren’t providing your maintenance service plan, normal road travel can lead to a costly repair needs or breakdowns. EN-TIRE Car Care Center wants to be your one-stop shop for all auto maintenance and repairs. From simple and routine oil changes to complex transmission repairs and replacements, we have you covered. Your car care needs include services to its engine, mechanical, and electrical systems–we do it all!